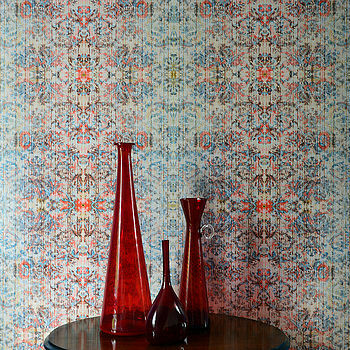 The Chapelle Collection is lavish and luxurious, flushed with faded grandeur and contemporary twists. 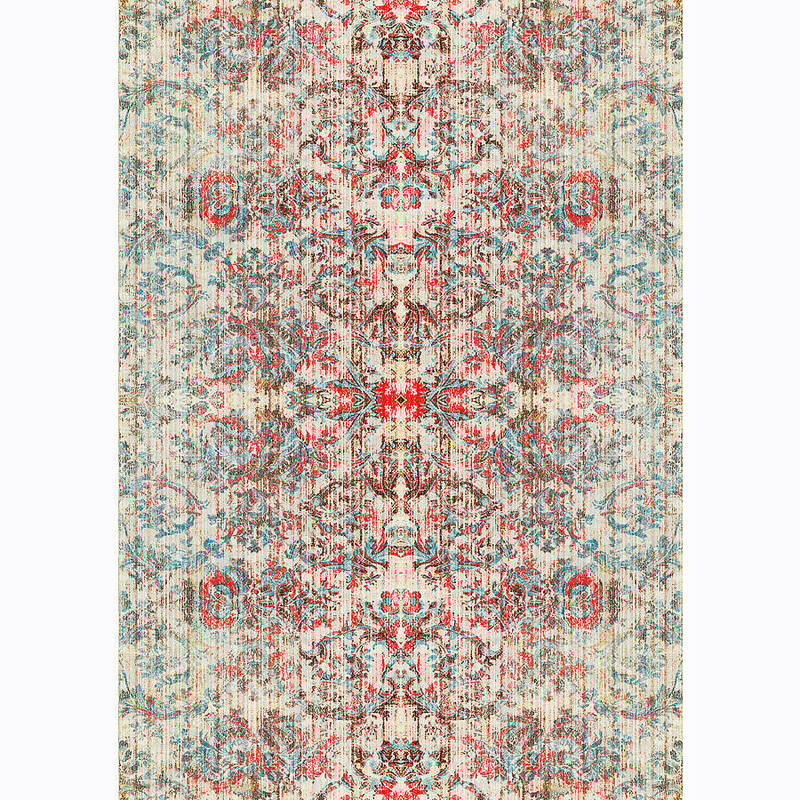 This lush boho design depicts an aged tapestry like texture with red and blue tones flowing through it. The multi layered aged effect suggests time gone by and imagined histories. It gives period and contemporary interiors an immense depth of character alongside a classical staying power. 'Chapelle Sunset' is one of a collection of 4 in the Chapelle range; 'Noon' has blue tones, 'Sunrise' has peachy pink hues and 'Dusk' has rich peach and purple tones running through it. One can order a sample in the request sample option. 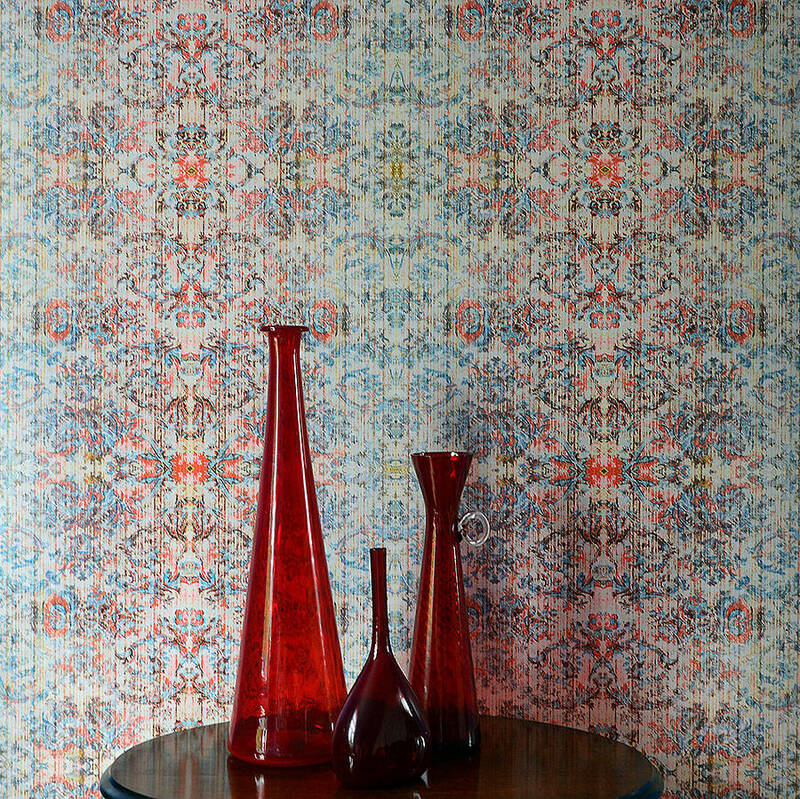 The Chapelle collection is also available in luscious British-made and printed velvet fabric. 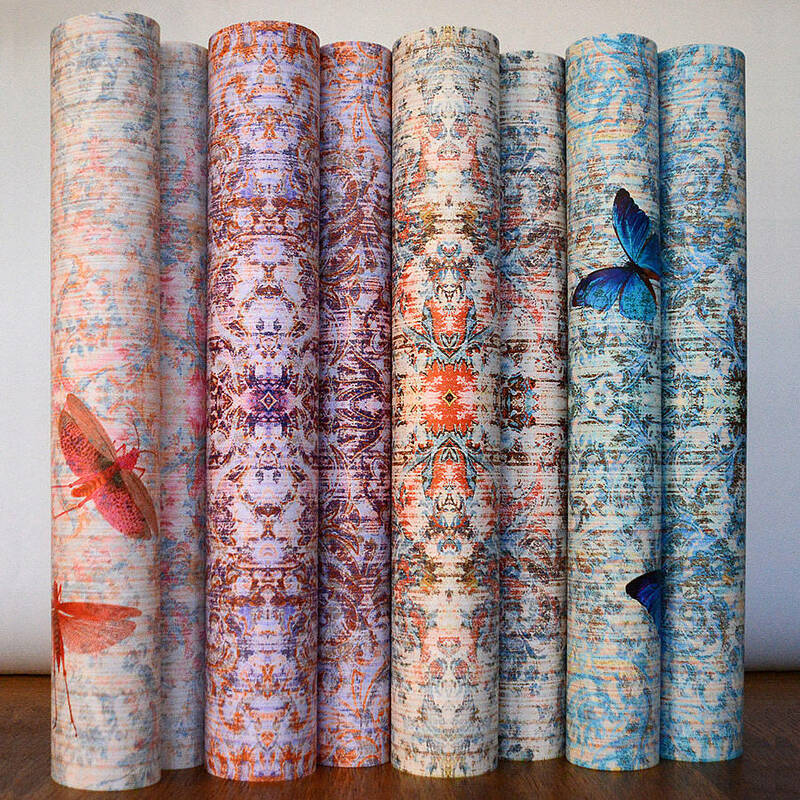 Each design is digitally printed on to high quality heavy weight matt paper which enhances the lustrous colours. Paper - Coated non woven (wall Pasted) a quality ready mix paste is recommended. This product is dispatched to you by Blackpop.